Classroom Climate gives teachers an extra layer of insight into how students are feeling and how well they're learning. By gathering feedback about student mood and feelings of achievement, teachers can gain insight into the success of a lesson and help students become more self-aware. 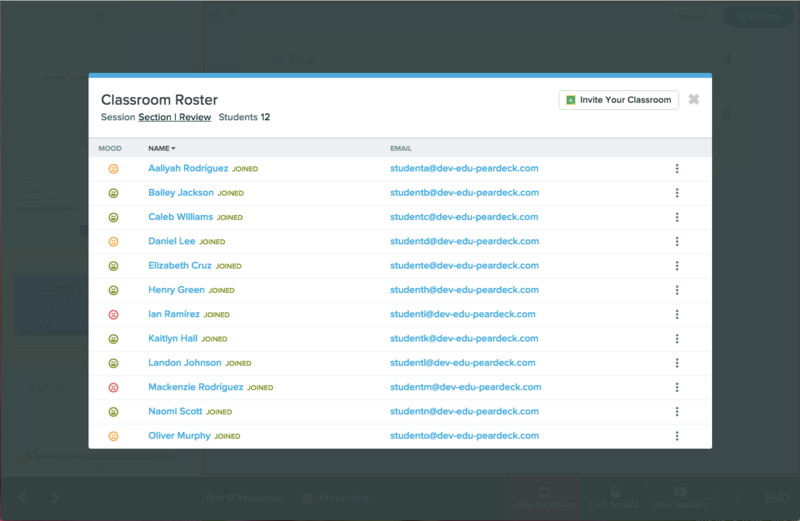 Go to your Pear Deck Home and click on your person icon. Click on Settings. Or, click here to go directly to your Settings page. 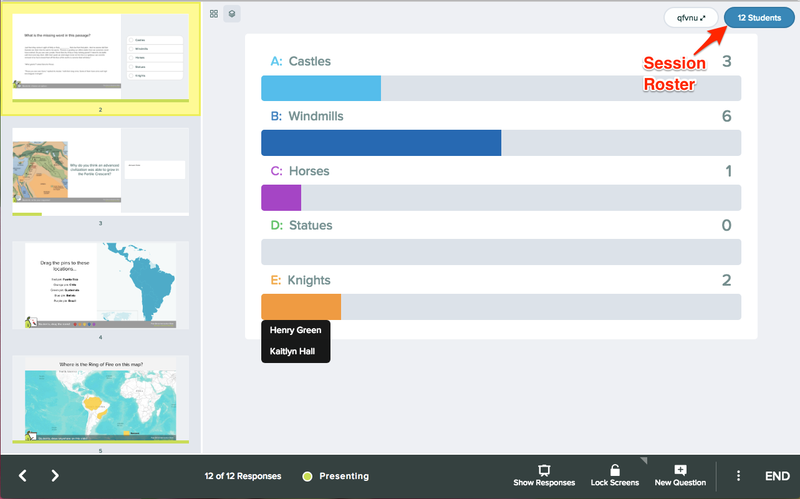 Find the Classroom Climate section and turn the button to ON. 2. Choose the feedback you want to gather. Go to Check for and click on the drop-down arrow. 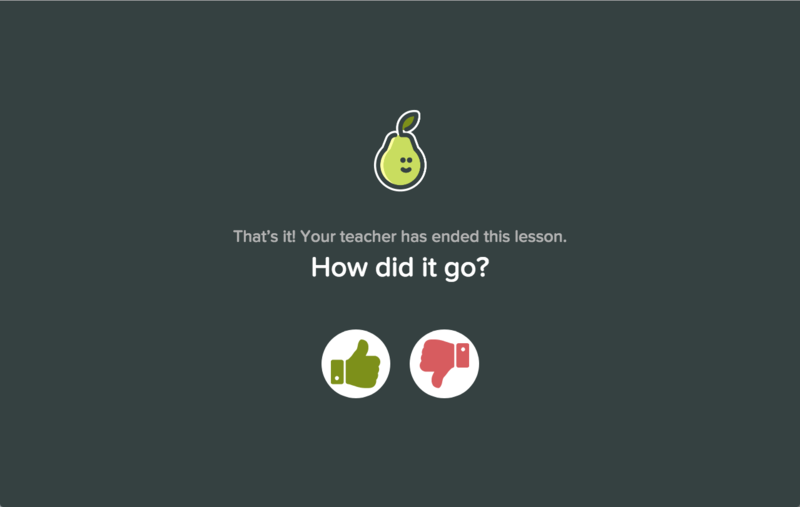 You can gather mood data at the beginning of class, lesson feedback at the end of class, or both. This selection will apply to all Sessions going forward, until you change preferences again. 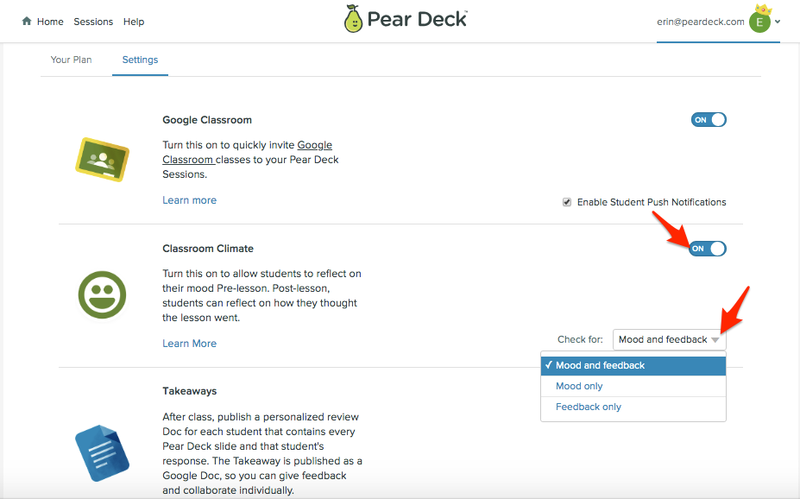 Now each time you present a Pear Deck, we will automatically present students with a mood gathering question on the first slide and/or a lesson feedback question on the last slide, depending on the options you chose in the last step. You must advance to the last slide for students to see this question. They will be able to answer it up to one hour after you've ended the Session. 4. Use the Data. There are a number of ways you can do this. You can also see the average thumbs up rating for a Session. 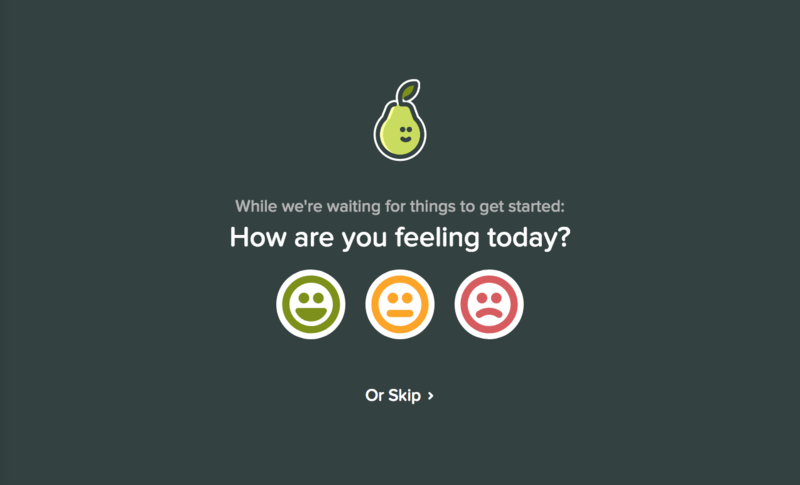 Go to your Pear Deck Home Screen. 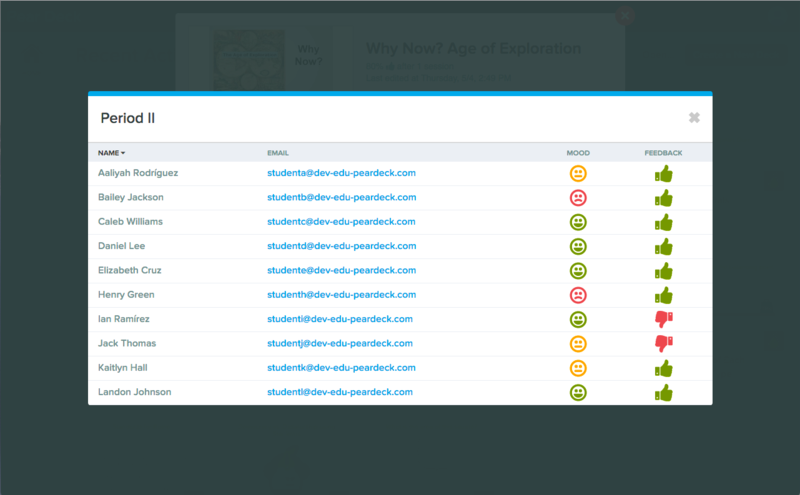 First, click on the Deck title to open the modal menu. In the Deck menu, click on either the thumbs up rating or the roster number. That's how you quickly collect feedback from students!